Porcelain, wood and stainless steel come together in the Thomas to create a little piece of magic. 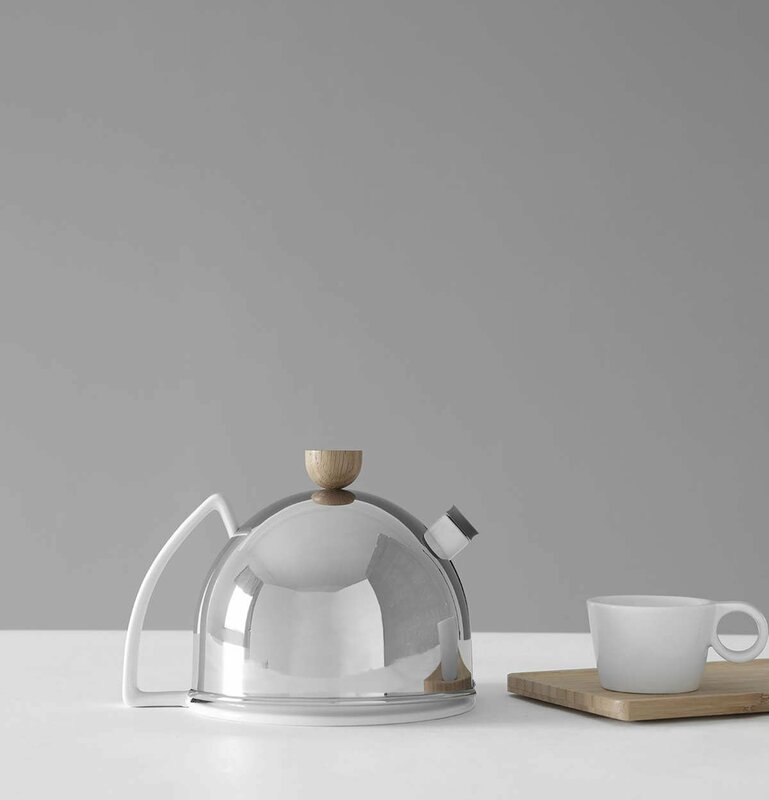 This teapot is mid-century style at its best with sleek modern construction. 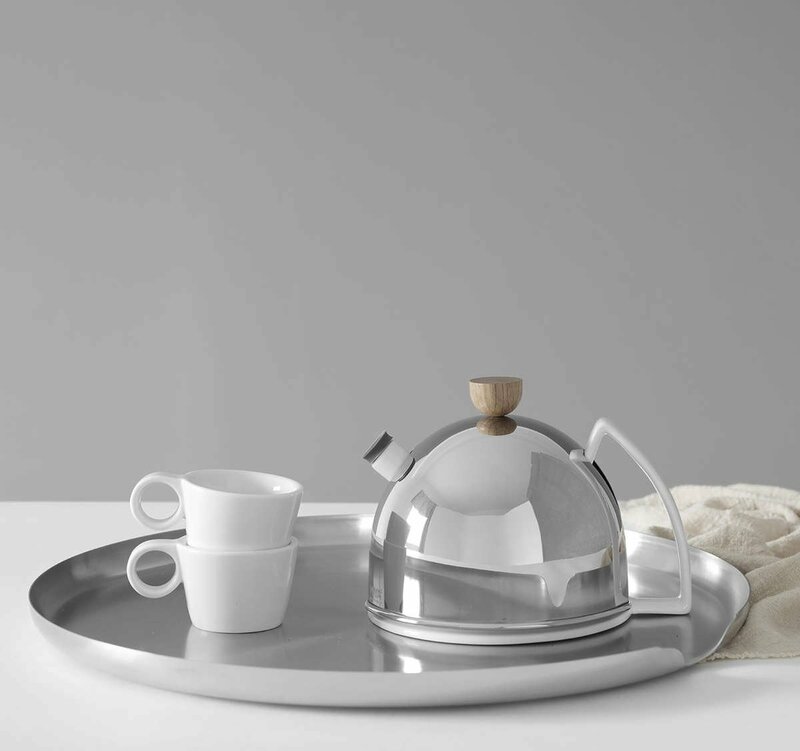 Feel inspired to make tea with a perfectly designed teapot by your side. Size: L: 17.0 cm - W: 15.3 cm - H: 13.0 cm - Vol: 0.90 L / 30.00 fl. oz. When most people think about tea, they tend to think about comfort and practicality. Style is not often considered when a teapot is brought into the home. Why should that be? Do we not deserve functional yet beautiful possessions? 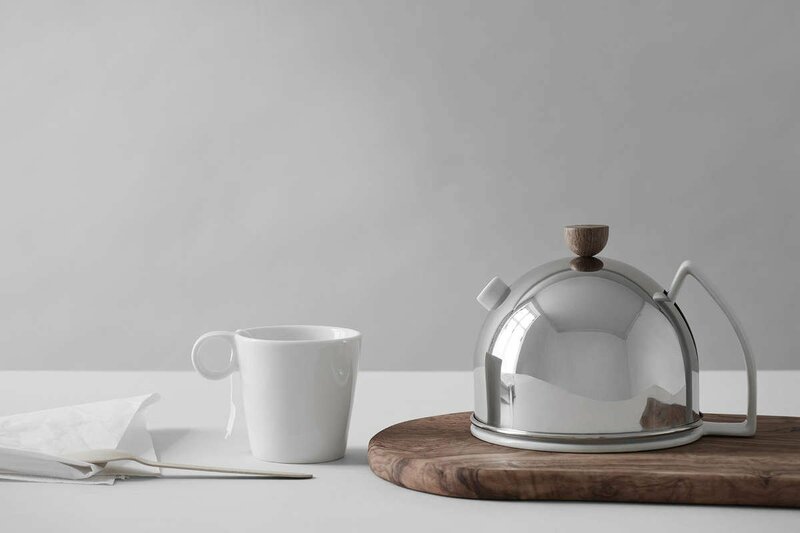 We of course do deserve them and that’s why the Thomas teapot is about to be the next standout piece in your kitchen. 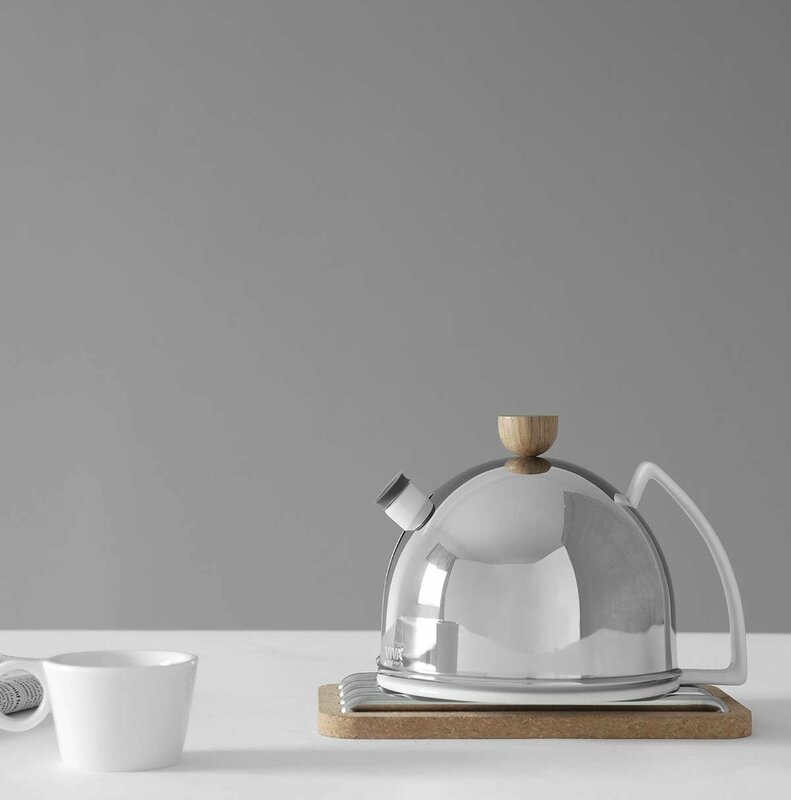 With the Thomas teapot, stylish design and the creature comforts of a classic teapot are blended together. The mid-century inspired shape is sleek and sublime, while still having all of those inviting curves that you know and love. Admire the flawless stainless steel exterior and pour with ease using the porcelain handle and drip-free spout. Make Thomas the centrepiece of your next tea party. A teapot like this deserves to be seen. Thanks to our drip-free design, the tip at the end of the spout, made of our own Istoflec silicone, eliminates drips entirely. You’ll enjoy drip-free pouring from the Thomas every time. This 900 ml teapot will make enough tea for around four medium cups. It’s perfect for when you have friends over. The best way to boil your water is to use a standard kettle, then transfer the water into the Thomas teapot to steep and serve your tea. This teapot is not suitable for use on a stove-top or microwave. Due to the Thomas’s clever design, the porcelain handle will remain cool to the touch so you can pour your tea with ease. This lovely teapot is not dishwasher safe, however it’s just as easy to hand wash with warm soapy water like you would with any other dish.